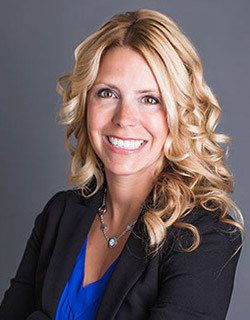 Dr. Emily MacQuaid is a Board Certified Ophthalmologist and Oculoplastic Surgeon. An Oculoplastic Surgeon is someone who specializes exclusively in reconstructive, revision and cosmetic surgery of the eyes and surrounding tissue. From 2008 to 2017, Dr. MacQuaid was the Director of Cosmetics, Oculoplastics and Reconstructive Surgery at Katzen Eye Group. Dr. MacQuaid founded both the Aesthetic and Oculoplastic divisions of Katzen Eye Group. Katzen Eye Group, along with Eyecare Service Partners, grew to be one of the largest private ophthalmology practices in the country during Dr. MacQuaid's time with them. Previously, Dr. MacQuaid was a clinical instructor of Oculoplastics at Johns Hopkins' Wilmer Eye Institute. Dr. MacQuaid received her bachelor's and medical degrees from the University of Missouri. Dr. MacQuaid completed her Ophthalmology residency at Indiana University, where she served as chief resident in her final year. After residency, Dr. MacQuaid completed a Cosmetic and Reconstructive Oculoplastic Surgery Fellowship at the Wilmer Eye Institute at Johns Hopkins Hospital. Dr. MacQuaid's services range from cosmetic surgery of the eyelids and eyebrows to the midface. Dr. MacQuaid is also a renowned expert in reconstructive surgery of the eyelids, eyebrows, tear duct surgery, thyroid eye disease, and tumors. She has advanced training in non-surgical facial rejuvenation such as Botox®, Restylane®, Juvéderm®, Radiesse® and Laser Resurfacing, She offers the latest technologies available to her patients. While at the Wilmer Eye Institute, Dr. MacQuaid taught Oculoplastics Surgery as a clinical instructor in the residency program. Dr. MacQuaid continues her teaching role by participating in the Oculoplastics Fellowship training program at Sinai Hospital in Baltimore. She is the author of numerous papers and presents at national meetings on new technology and surgical procedures. Dr. MacQuaid is currently a member of the American Academy of Ophthalmology and is a Fellow of the American College of Surgeons. Aside from Ophthalmology, Dr. MacQuaid is a former Division One college tennis player. In her free time, she enjoys playing tennis and spending time with her husband and their two children.